Steven (Chicagoland, United States) on 12 November 2018 in Plant & Nature and Portfolio. Spotted in Bowen Park along Greenwood Avenue in Waukegan, Illinois. Photo captured October 17, 2018. Oh yes, Steven. My time of the year! Superbe, j'entends presque le petit vent dans ces magnifiques arbres. A glorious celebration of color ! A superb burst of color on this tree. 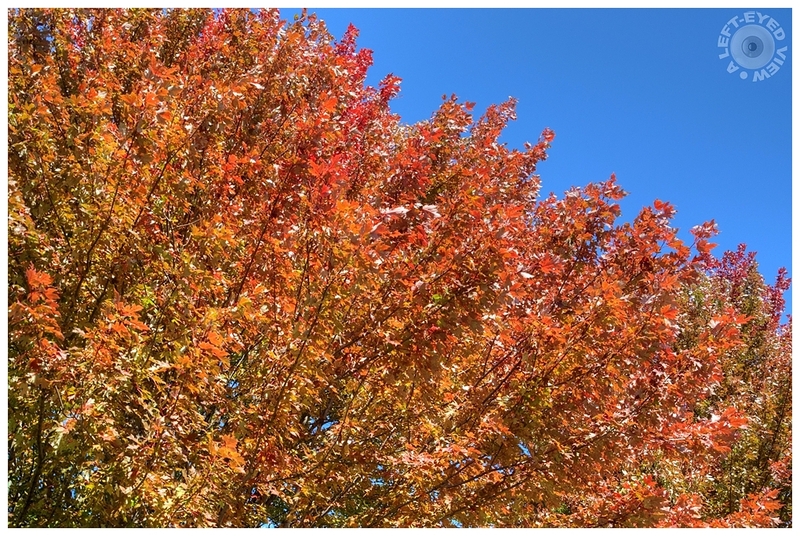 Highlights abound in this terrific study of what makes Autumn such a special time of year. These trees, especially in autumn, are wonderful. Glorious selection of colors ! couleurs merveilleuses d'un bel automne. These colors are very beautiful. And the day seems gorgeous to ad to the experience. A beautiful diagonal of leaves in these flaming reds. Joli contraste avec le ciel bleu. I love the bright colors of the leaves against that magnificent blue sky. A fabulous autumn image. How amazing is that color!!! Brilliant (literally and figuratively) Steven!